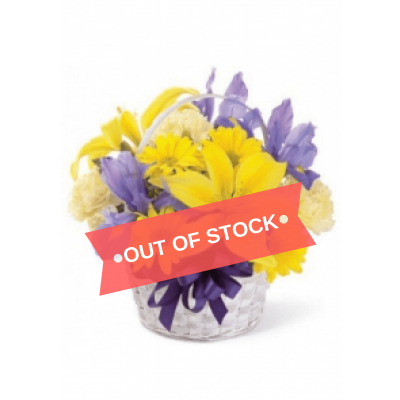 Enjoy the Spring with this traditional bouquet. A handled basket holds bold purple iris and static that defer to lemon yellow Asiatic lilies, soft yellow carnations and bright yellow daisy poms. 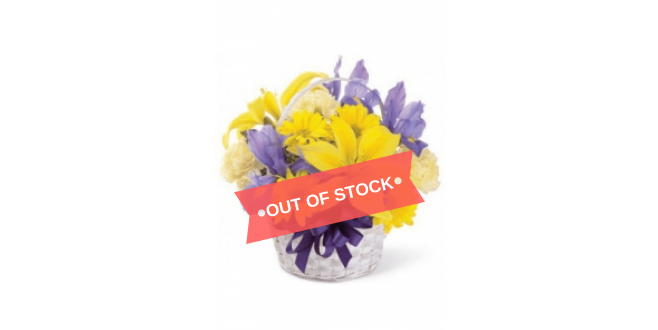 It's the perfect basket to celebrate any ocassions. 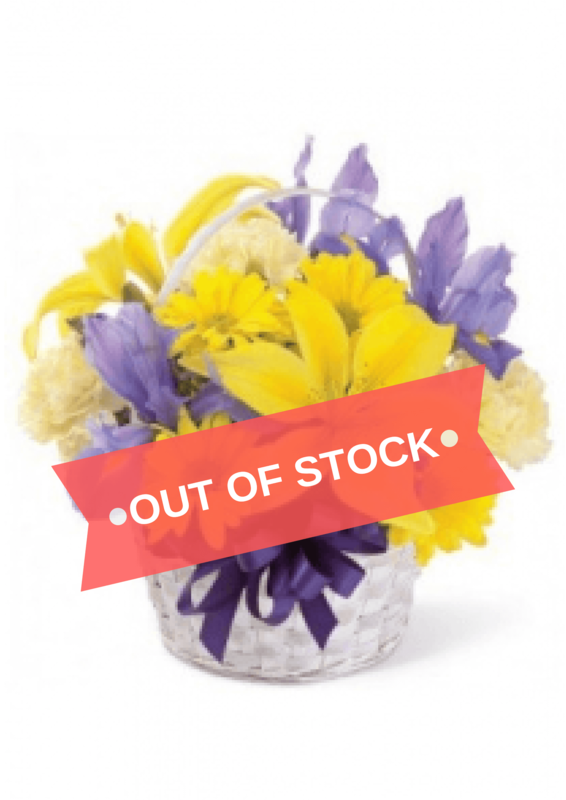 Get this Spring basket online from our Blooms Only florist in Pune.